We have reached the mid-point of the month for our Black and White Book Club study of Michael Freeman's The Complete Guide to Black and White Digital Photography (or the Black and White Photography Field Guide). Be sure to read the overview, week 1, and week 2 posts if you are just joining in. Everyone is welcome to participate, even without a copy of either book, but if you do have the book, you will have more to draw on during the month. Week 3 (Feb. 10-16th) will focus on Elements of Visual Design in Photography – thinking about shape, structure, tone, volume, form, and texture. We will be covering pgs. 46-61/44-59 (optional processing pages: 82-103/80-103). * For those participating via 365project.org and want to also add the "Flash of Color" element, Feb. 13th will be the day for Flash of Color – an image processed with selective color to bring out only a specific color. Last year was flash of red, but you are free to choose any color. 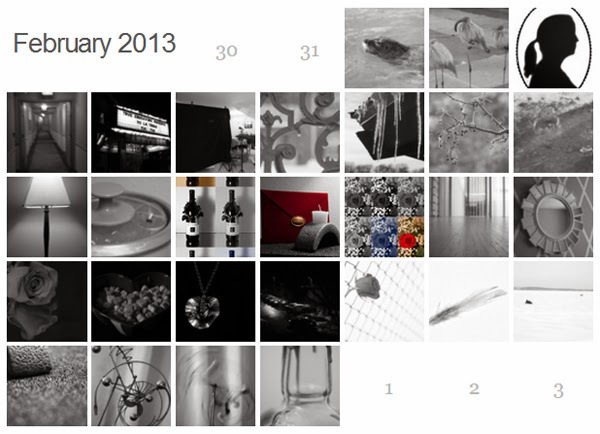 This will create one color image in the precise center of your 365project calendar. I will admit to being a little frustrated at Freeman's brevity in these chapters. While he alludes to the various elements in the chapter titles, he does not do much to define or explain them for the reader. So, for the curious, I will be borrowing more from Patterson to lay out some groundwork. Shape: "All shapes are two-dimensional, such as a square, a circle, the silhouette of a tree, or the outline of a cup … In real life every three-dimensional object has as many shapes as there are positions from which it can be viewed" (Photography and the Art of Seeing, pg. 106). Freeman focuses on the idea of shape as silhouette that "depends heavily on outline … defined by edge contrast" (pg. 46/44). 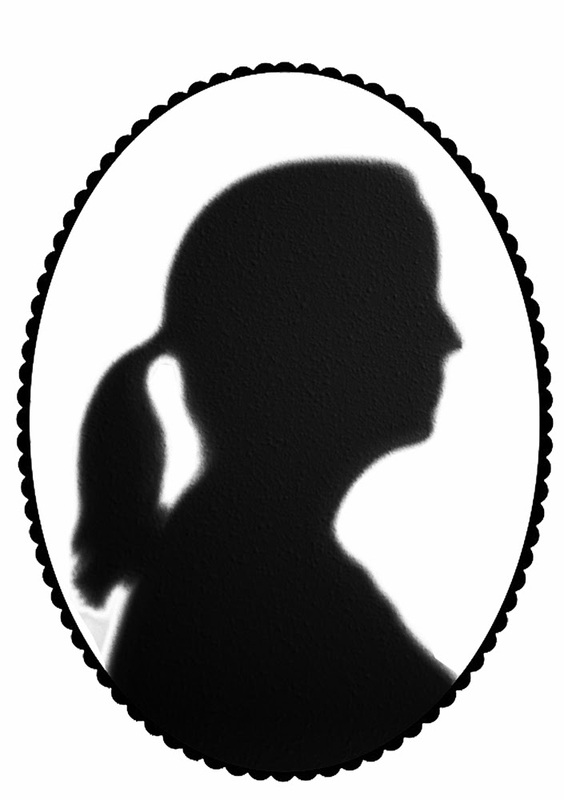 Think about edges and silhouettes and how to see shapes this week. Tone: Tone includes the range of hues or colors in an image, which is simplified when shooting in black and white to the tones from pure black to pure white and all the grays in between. "What this allows is a clearer, purer concentration on the subtleties of transition between shades of gray" (pg. 50/46). Think about which tones are present or featured in your image. Volume and Form: While a two-dimensional photograph does not have actual depth, "the illusion of depth or perspective is easily created. In fact, it occurs naturally, owing to the ways that the intensity, quality, direction, and colour of light illuminate the subject matter" (Ibid, pg. 107). Freeman shows in his example the impact of side lighting in highlighting the volume and form of a three-dimensional object in a two-dimensional photograph. Think about lighting and the angles of your lighting this week. See how side lighting or backlighting or front lighting changes your image. Texture: "Texture is the visual weave or fabric-like nature of surfaces … As much as anything else, the direction from which light falls on the subject matter influences the photographic representation of texture" (Ibid, pg. 107). Freeman stresses that "almost any relief texture looks stronger under a point-source light that casts hard shadows, and in particular under raking light, from a low angle" (pg. 54/52). Try to search out some interesting textures this week or fill the frame with a single texture or a combination of textures. This week's optional section on digital processing takes a look at some unusual processing options as well as a basic processing workflow (pages 82-103/80-103). The infrared spectrum, while outside our normal visual range, is not necessarily outside the range that can be capture by your camera's sensor. 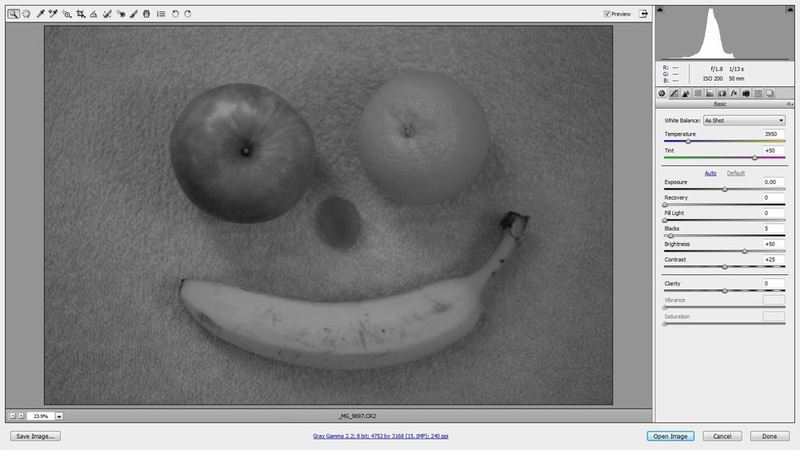 Freeman details how cameras are created to filter out IR and how you could use infrared for photography. 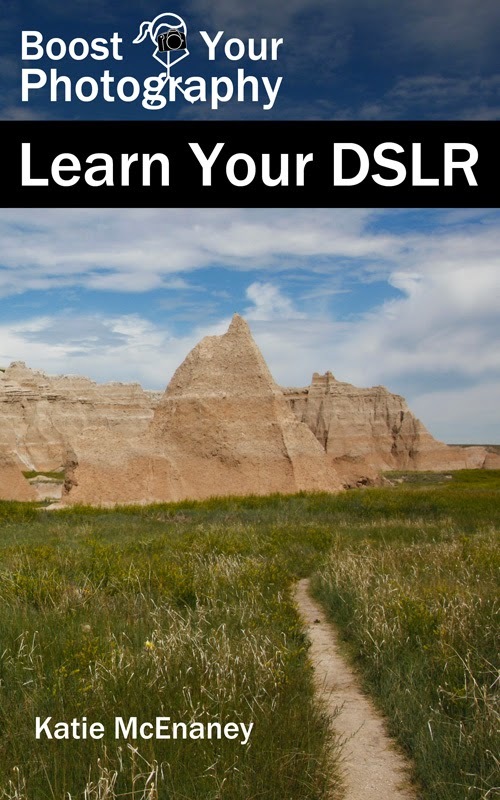 The processing workflow chapters are really at the heart of the "digital darkroom" idea. Freeman provides an overview of what some of the options and panels look like in various RAW conversion programs, and he devotes an entire chapter to Silver Efex Pro. "Reduced to the simplest, there are just three basic image qualities for monochrome photography: brightness, contrast, and tonal range. When you shoot … you can influence just the first of these … when it comes to processing, however, each of these is adjustable" (pg. 96). Freeman then walks through some basic definitions of each of these three terms and covers some common ways to adjust them in post-processing, often including several variants to accomplish the same goal. He suggests adjusting the end points of the histogram first (tonal range), then adjusting the brightness, and finally working on the contrast, and he provides several comparative (though often quite subtle) examples of such adjustments. Does his process match your workflow for black and white photography? Do you think there are steps that he is missing, that you would re-arrange, or that seem like they need greater explanation? Consider sharing in your descriptions some detail about your workflow process this week. Want to participate? Post a comment with your thoughts or a link to a picture you have taken for the Book Club and an explanation of how the book influenced your image. Or, you can post pictures and contribute to the discussion by joining the Photography Book Club Group on Flickr. Parting words for the week, "It makes it possible to achieve almost any conceivable distribution of tones, with almost too much choice. It certainly demands a clear idea of what you want to achieve, ideally before you begin the process" (pg. 50/46). Anyone else finding exactly this aspect a struggle?